You are not used to bringing iPod touch with you so you just want to copy all contents from the iPod touch to your Android mobile phone. However, the transferring task is not so easy-handling because iPod and Android phone are running different operating systems. Don't worry! 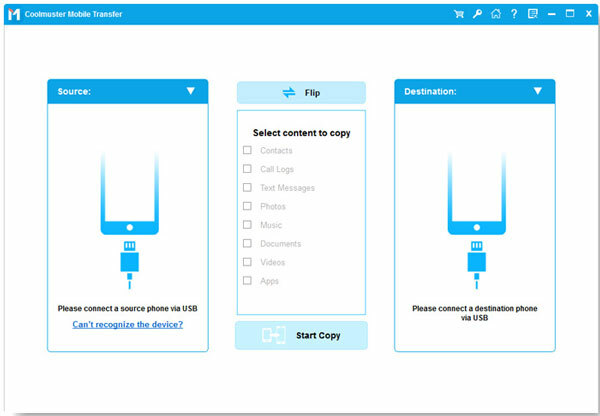 In this article, I will introduce a handy iPod to Android data transfer program to help you copy content from iPod touch to Android phone or Android tablet with one click. iPod to Android Transfer can be your best choice to transfer all data from iPod touch to Android device, such as Samsung, HTC, Google Nexus, Huawei, LG, Sony, etc. With it, you can easily transfer contacts, text messages, photos, videos, music, apps, call logs, calendar and more between two devices. 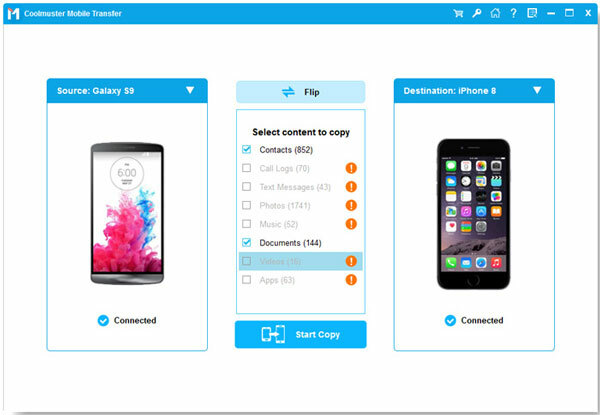 In addition to data transfer, it also enables you to transfer data from phone to computer, and restore data from computer to phone. Firstly, you should download and install the iPod to Android Data Transfer tool on your computer, which has both Windows version and Mac version. Therefore, you should download the right version according to your computer. How to Transfer iPod Data to Android Phones/Tablets? Run the iPod to Android Transfer tool on your computer after you downloaded and installed it. Select "Phone to Phone Transfer" mode ono the homepage and you will see a new screen asking you to connect devices. Use two USB cables to connect your iPod touch and Android device to the computer. The software will detect the two devices and show them in the program window. All transferable file types are listed in the middle. Please make sure Android device is in the target device pane. Then, tick the data you want to transfer and click on the "Start Transfer". After a while, the data you chose will be transferred from your iPod to Android device completely.